Rare book and autograph dealers specializing in music and dance, 16th to 20th Centuries. Provides English sterling silverware, cutlery, tea and coffee pots, candlesticks and other antiques from the London Silver Vaults. Excellent collector info pages relating to grading, collecting and value. Fixed-price catalogs of historic newspapers, primarily 1775 - 1865, early book leaves, vellum indentures, 1450 to about 1900. An online antiques and collectibles community. 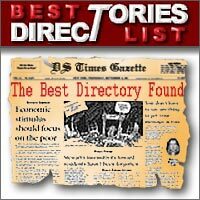 Features news, buy and sell areas, calendars, directories, price guides, and forums. The Ultimate Vintage Costume Jewelry Site, for the Jewelry Collector. The site for rare book collectors. Includes articles on collecting, expert opinions, book auction calendar and listings, and a bibliographical database. Are you looking for hockey hobby boxes? Baseball, Football, Basketball, and Non-sports trading cards? Canada Card World offers competitive prices in Canada for the boxes you love. Buy, sell, and trade Hallmark Ornaments. Choose past year Hallmark Ornaments from 1973 to 2001, Miniature Ornaments, Easter Ornaments, Hallmark Collectors Club & Expo Ornaments.